We, human-beings, have “vision”. Eye is the sense organ. Vision has many meanings but is commonly understood as seeing. The total vision has broader and too wider connotations. It includes invariably far-sight, planning and designing for the future. But in general we are not satisfied with normal seeing, would speculate many other things beyond and behest. Let us first examine the matter of “seeing”. We have two eyes. Some people even talk about a “third eye” or an inner perception. They say seeing is not complete without that. The third eye which was available with the earlier races of mankind got reduced and absented itself. This has become the ‘pineal gland’ which is another story. Mind is supposed to be the data-base for the senses’ perception, outer and inner. Mind has no physical locale, but we feel it and do not agree when someone suggests that we do not have the mind. Attention is the collective action of the mind. It is a Principle and an agent for inner perception. Storing, retrieving, recollection and propelling for action thereupon are its primary functions. Perception is also a way of understanding or regarding something, the ability of understanding at the same time the true nature of that something. We may name it as Insight or the faculty of Intuitive understanding. Attention and Alertness are the states in the Awakening of the sense organs. They become possible only when the mind is capable of collectively functioning; when all the sense organs effectively perceive. Mind has a great role in human conduct and behavior. Considering the human principles and their aspects, mind is very vital in importance so far as functioning is the matter. 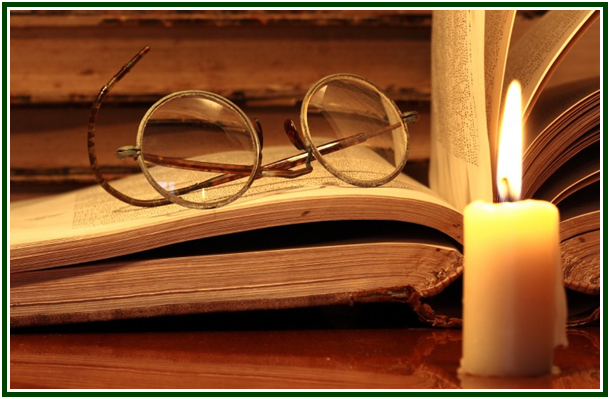 Theosophically speaking, mind is said to be the “fifth principle”. A human being has seven principles at his command. As the fifth principle, mind can independently propel action or report to its higher principles, Buddhi and Atma. Popular idea in the theosophical connotation is that “Atma-Buddhi-Manas” is the Real Man or Inner Man. Man is the master of his business and its administration when he functions as a Total Man, devoid of the subjection or influence of the impulsive psychic and physical aspects of functioning. When he is functioning only at the level of psychic and physical modes, he is only partial and parochial. He is behaving as a fragment of his Total Being. We are not concerned, at this point, with those who think that what is seen is enough and the search beyond is futile. Coming back to the sense organs, eye is considered the principal of them, for the simple reason that it is the first organ which senses. On the analysis we made of the Total Man, we have to consider the eye only as a beginner of perception, only as a representative of the five senses and organs. Even when we say “Vision” it is complete only by the total or collective action. To the outer vision, we have also need to add on the inner vision. We shall deal with the eye, as an illustration in our total examination, but will not forget that the other four are conjoint with it all the time. We call that “attention”. Attention implies the absence of any distraction or distortion. These are to be totally eliminated from the scene of perception. When there is distraction or distortion the vision is not “true” or “real”. When we see a thing before us (our eyes), we can as well make it heard, smelt, tasted and touched too. We see the object first and the act of seeing intently brings up the other aspects to our observation. They are radiated to us invariably from the object itself. They are “subjective” but are brought into a sort of objectivity because of our perception. We desire to see things both objectively and subjectively. When there is total attention, the subject and object become one. The seeing (or vision) has to be total and faultless. To put it in other words, we must see things as they are, and not as we wish them to be or as they prima-facie appear only in a form. Yadha-tat and Yadha-vat are the Sanskrit words to indicate things as they are. So, the effort is to see things as they are. This is the “State of Faultless Vision”. It is common that the vision gets distorted or disoriented, for various reasons. Age may be one, self-opinion or pre-conceived notion is another. When the eye suffers this we approach an oculist. Similarly for each organ we have specialists who help us set right the matter by removing the fault. Thus we get back to be the right visionaries. This is so as far as the outer organs are concerned. What happens to the faults affecting the inner organs is a separate matter. This is concerned with the inner enemies of the man, such as anger, irritation, envy, jealousy, pride, and there is a long list. Unless these are also remedied and the vision is set right, we cannot say the vision is faultless. These are to be attended to if we so desire to have a faultless vision. Otherwise, we can rest where we are. We will now consider how the Faultless Vision can be attained. This is a sort of “mysticism” (id est, the process of becoming one with all or filled with “That” and nothing else) at a lower level. But without mystifying ourselves, we can make this vision a common knowledge and become total human-beings. For attaining this, the primary step is Concentration (Dharana). Dharana is described as “the intense and perfect concentration of mind upon some interior object, accompanied by complete abstraction from everything pertaining to the external Universe, or world of the senses”. This can also be termed as “one-pointedness”. In other words, we must become indifferent (Udasina) to the objects of perception and see only through the mind (Manonetra). This mind, again, is the maker of illusion. Illusion replaces or kills the Real. So, we must become capable to trespass the total field of illusion, created and projected by the mind. We must here remember that two traits of the mind are Avarana and vikshepa (id est, covering things and projecting non-available things). The field of Illusion is, in philosophic terms, named as the field of “Asat”. From the region of this Illusion (Asat) we must proceed to the region of the “Sat” (Real). Seeing the illusionary forms, hearing the sounds of “roaring as to whispers, to cries of bellowing elephants, as to the silvery buzzling of the golden firefly” - which is in the range common with practitioners of meditation (Dhyana), must be stopped. The art of right meditation will not provide for these illusions. From the field of forms, we need to get into the field of ideas or concepts. The latter field too gets absorbed into a higher region later. The form of clay gets unified with the mind of the potter (designer). This happens before he makes the form. This is what we call Ideation. We must get into the mind of the form-maker (creator) to start with. This is termed as the “higher-mind of the soul”, which is equally earthy, and it attempts to separate us from the Sutra-Atma (string of existence, the silver thread that binds us to our creator/Master). This earth, the hall of (Asat) sorrow, traps to enclose us in itself. Yet, it is also the “entrance leading to the twilight that precedes the valley of True light”. That true Light burns without a wick or fuel, and no wind, however strong, can extinguish that. Wick is the physicality and fuel the psychic nature, symbolically put here. Because one has passed the hall of sorrow not responding any longer to the earthly perceptions, the entrance welcomes him. At this stage, one sees the Self-in-Reality (svasvarupa). Then alone one can attempt to see or become the All-Self (Parasvarupa). One has to rest in that Eternity. Figuratively speaking: One has to cross the hall of ignorance, then the hall of learning, and enter into the precincts of the hall of Wisdom (Jnana). This is not easy. Great struggle is needed to get over the hall of learning, for it is more flowery and attractive, alluring one to rest in it (Pandtya-prakarsha). Step into the region of Wisdom (Jnana) (purify the heart). The region of wisdom is the Bliss. Here one is “born in heaven”, not breaking away from the Universal Parent. One is in his “Heart”, with the Inner Ruler Immortal (Antaryami). Resting with him is merging with the One and living there. Now, one becomes one with the path of onward journey. The Inner Ruler or the Inner Man is the pilgrim and sets on his further journey, having unloaded the physical and psychic luggage. This unloading is the removal of the sorrow of the world to an extent. Killing the Desire, including the love of life (Kama and Thrishna) are the marks for this. Then the desire to follow the nature’s changeless laws comes up. 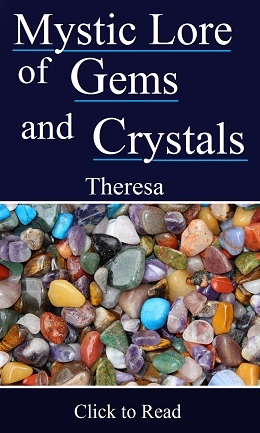 By working in aid with nature, one becomes a friend to Nature, when “she will open her ranks” and takes one on to the “portals of her secret chamber”. It is said, in other words, that the rose must become again the bud by killing all memory of past experiences, and become as innocent as a child. Now the aspirant’s flesh (body) is passive, head cool and soul firm. All the thick dark clouds of matter have evaporated. The light of the One Master radiates now. Hearing and seeing merge here and all psychic senses also merge in unity with the Master’s eternal radiance. Now the human-being becomes only a doer, witness, radiator and the radiation too. All the five impediments to the organs are destroyed. Human being remains as a vehicle (Upadhi) and becomes conscious of the Spiritual Self. The merger with the All-Self eventually occurs. One becomes the Light, Sound and Master of himself. This is termed as the state of Samadhi (in equilibrium with ALL) and that is the state of Faultless Vision. This state need not be considered very high, above the reach of human beings and unachievable. That is “latent” in each one of us, the human beings, and can be made patent by constant attention and vigilant approach to life. Oversimplifying again, it can be stated as a consistent effort to: rectifying one’s own faults, making readjustments for orientation, and radiating the radiance. Thus the human-being becomes a god on earth, but not of the earth. He is the real agent of the Supreme Principle that guides and elevates the universe, upon this globe. Human kingdom is asserted to be the fourth hierarchy on this globe. That statement can be worked out to become “Real” by each one of us. We only need devotion to this duty and earnestness in endeavor (Bhakti-Shraddha) coupled with reverence to nature and the Absolute that is the original stature of nature. Human being is endowed with the creative forces/energies such as Will, Wisdom and Activity (Itchha, Jnana, Kriya Sakti-s). Human will has no barriers, when covered with selflessness and altruistic spirit. One may wonder whether all this is possible for men and women of the world. One has to intellectually visualize things well before practically attempting the achievable goal. Unwavering conviction brings the needed firm determination. Only when one is in conformity with the opinion and convinced of its necessity, the doors of opportunity open before him. Nature and life are too beneficent to mankind and are ready to guide towards the True Light. In all these matters, verbal understanding is first necessary and when it is right it would naturally lead on to the ultimate. 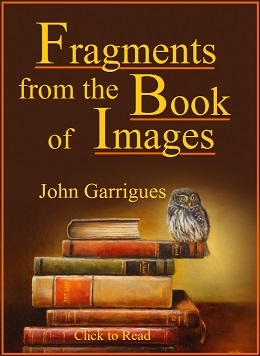 The acquisition of the Faultless Vision is only a first step in the long pilgrimage of human being. As one thinker remarked, the first step is the last step. When it is taken in right earnest, there will be no looking back. The journey is, of course, long. When the radiance of the Light pours in, there is only Bliss and no more tiresomeness. 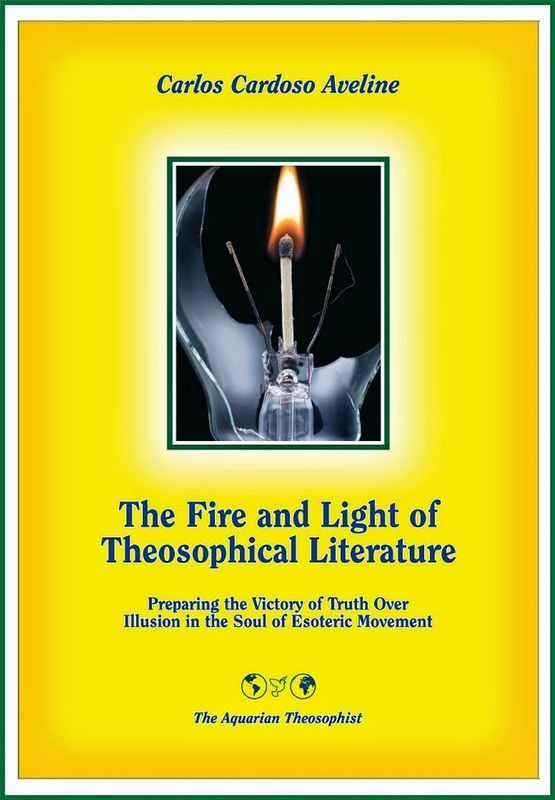 On the task of the esoteric movement during the 21st century, see the book “The Fire and Light of Theosophical Literature”, by Carlos Cardoso Aveline.